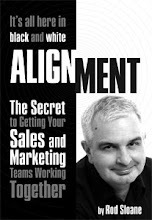 Sales and Marketing Alignment Blog from Rod Sloane: Does my business look crap in this website? The question all men dread being asked by their partners. Should the response be honest or reassuring? I don’t know as this is outside of my expertise and I just pretend that I haven’t heard the question. There is an equivalent in your business, when you ask people what they think of your website. Are you ready for some honest feedback? People won’t like the colours, the pictures, the font etc. etc. But I recommend that you try. Piers Mummery who owns Shoots Garden Centres asked people he knows these questions. Please one commendation for every recommendation that you give. Would you be so brave as to do this? Does my business look crap in this blog?